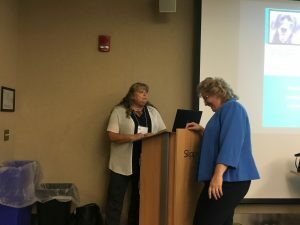 Slippery Rock University hosted a SRU Professional Development Day on Tuesday, October 9, 2018; Educating Citizens for the Public Good: Enhancing Learning through Community and Civic Engagement. 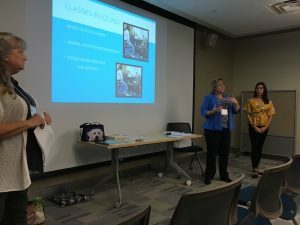 In addition to SRU staff, the Professional Development Day invited students and community partners. The Keynote Speaker, Dr. Dwight E. Giles, Professor Emeritus of Leadership in Education in the College of Education and Human Development, University of Massachusetts, Boston presented “Exploring the Promise of an Engaged Campus: Intersections, Identity, and Impact” where he identified the impact and benefits to SRU, Community Partners, and Students. 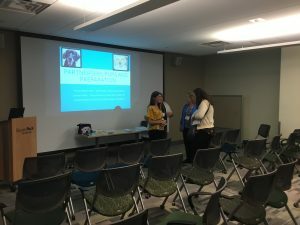 In addition to a Keynote Speaker, the Development Day included a World Café and Concurrent Sessions that addressed ways to engage parties as well as benefits. 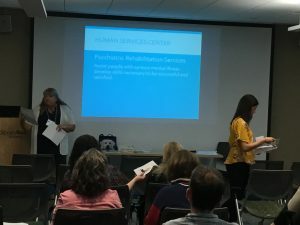 Human Services Center, Laurlyn Smith, Psychiatric Rehabilitation Supervisor, was invited to speak regarding the benefits of the partnership developed with Dr. Yvone Eaton-Stull and students with their integration into the program. Human Services Center recognizes the beneficial exchange of knowledge and resources in a context of partnership and reciprocity.